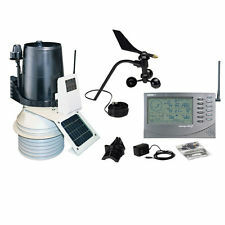 Originally serviced by an Oregon Scientific WMR200 (which suffered a catastrophic failure), it was replaced with a Davis Instruments Vantage Pro2+ weather station in January 2016. The station data is collected using CumulusMX software and stored in a MySQL database with the website being updated every 2 minutes. The station is comprised of an anemometer, rain gauge, UV sensor, Solar sensor and a thermo-hydro sensor all situated in optimal positions for highest accuracy possible given the location and surrounding structures. Point Cook was originally spelt Point Cooke, and named in 1836. Almost all references dropped the "e", however in the early 2000s the point itself was officially renamed "Point Cooke". Point Cook was named after John M. Cooke, mate of His Majesty's vessel Rattlesnake. Commanded by Captain Hobson, the ship charted part of the Port Phillip bay in 1836. William Drayton Taylor leased the land around Point Cook promontory in 1849. The following year in 1850 Taylor transferred his licence to Alexander Irvine. By March 1852, a six-room weatherboard cottage had been erected. In 1853 the pastoralist Thomas Chirnside added the farmlands of Point Cook to his holdings. He built the famous Point Cook Homestead of twenty-five rooms in 1857. Initially Point Cook was an important segment of the expanding pastoral empire established by Thomas and his brother Andrew. As their extensive land holdings were developed substantial homesteads were later constructed at Werribee Park, Carranballac, Mount Williams and Curnong. In 1912 the Federal Government purchased a large section of Point Cook with a vision to establish the Australian Flying Corps (AFC). Due to the success of the AFC in the First World War, the AFC was renamed the Royal Australian Air Force (RAAF) and this led to the eventual renaming of the AFC base at Point Cook to RAAF Base Williams. Point Cook remained the RAAF's only base until 1925 when RAAF Base Richmond (in NSW) and the nearby RAAF Base Laverton were built. Point Cook is considered the birthplace and the spiritual home of the RAAF. Today the RAAF Williams base is the home of the RAAF College including Officers Training School (OTS) and the RAAF Museum. powered by cumulus mx (3.0.0 b3041) | last data update: Apr 20 2019 08:36:31 (Australia/Melbourne).